Another year of quality television has come and gone, and thankfully, there was no shortage of top-notch programming. There were costume dramas that thrilled with edge-of-your-seat danger and beautiful costuming. Action dramas that provided riveting intrigue. While long-running series bid television a fond and “bittersweet” farewell. 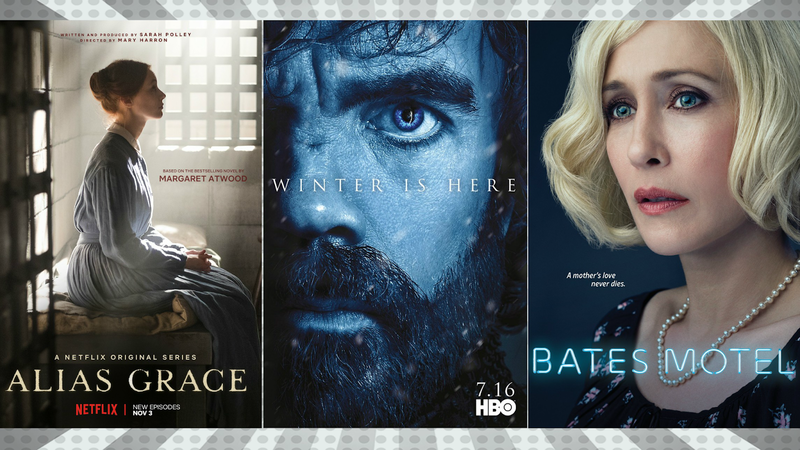 As is the case with many lists, Eclectic Pop has saved the “Best Series” slot for last, so be sure to scroll all the way down to find out which series earned the title. When it came to the best television of 2017, Eclectic Pop considers these 11 series to have been head and shoulders above the rest. Dark, suspenseful, and shocking, “Hotel Beau Sejour” gave viewers a unique take on the murder mystery, as the victim attempts to solve it from beyond the grave. For 10 episodes, viewers are taken down various rabbit holes, before the awful truth is revealed. To the series’ massive credit there are no cliffhangers. “Hotel Beau Sejour,” tells a succinct story that’s beginning, middle, and end are handled with pathos and a never-ending desire for closure and justice. Nothing happened in Season 3 that particularly lifted the foggy doom of Season 2, but the incredible talent of “Poldark’s” ensemble shined through regardless. As is a “Poldark” tradition, Season 3’s Christmas episode proved to be the best one of the season, and a reminder of how uplifting the series can be. Over half a decade later and the magic is still there. HBO’s pop culture phenomenon proved it could still keep pace with expectations, delivering one visual spectacle after another. “Game of Thrones” may have hit a few sour notes, in terms of certain character’s storylines, but the thirst to see it every Sunday, never tapered. One of the decade’s best series left television in 2017 and to its credit, it exited at the apex of its creative eminence. “Reign’s” fourth and final season, saw inevitable fates come to fruition and magnificent performances that brought them to life. One of the few costume dramas to expertly balance history with mystery and light-hearted moments with serious ones. "Reign," you will be missed. Netflix and BBC One shared the reins on “The Last Kingdom” Season 2 and their partnership proved entirely fruitful. The second season was compelling, full of great action, and unexpected love stories. With an entertaining freshman season under its belt, “The Last Kingdom” came roaring back with a second season that showed tremendous development over its predecessor. Regally acted and eloquently written by showrunner Daisy Goodwin, the first season of “Victoria” gave viewers an impeccably produced rendering of the early years of Queen Victoria’s reign and her romance with Prince Albert. Jenna Coleman’s performance was one of the year’s best as she expertly portrayed the varying nuances of Victoria’s life as a teen, a queen, adult, wife, and mother. Five seasons in and “The Blacklist” still draws its fair share of shocks, laughs, and nail-biting action. Keeping a series running at this high a quality is nothing short of awe-inspiring. It has been said before on Eclectic Pop, and it merits reiterating: “The Blacklist” has one of the best ensembles on television. There are no weak links and that along with the tremendous talent of its writers, is what helps keep this series so strong. 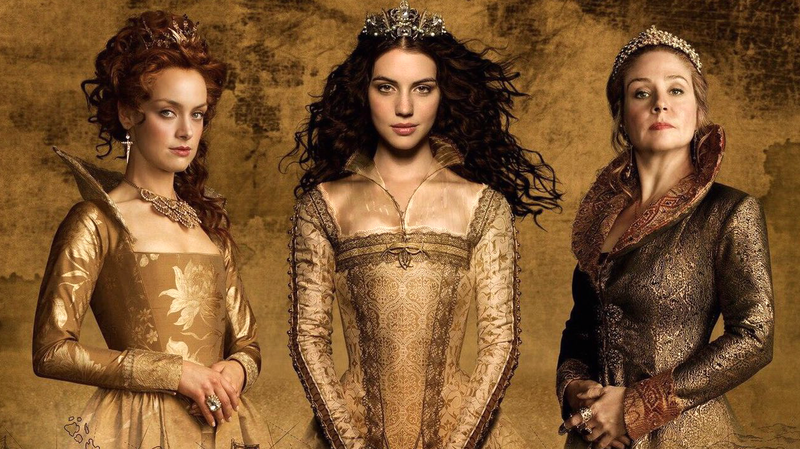 A lot of personally-utilized digital ink has been spent on Starz’s dazzling sequel to “The White Queen,” and for good reason. The long-anticipated follow-up to the stunning 2013 series had a lot to achieve, including the fulfillment of considerable anticipation. 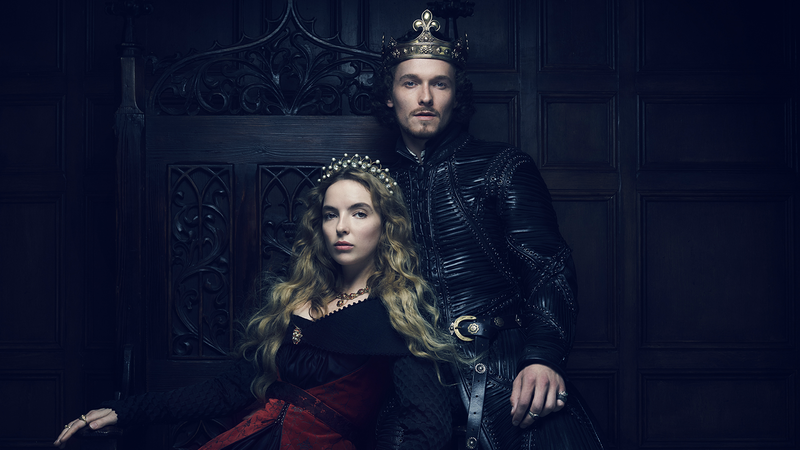 “The White Princess” reigned with a compelling narrative that didn't shy away from the dark side of royalty and family loyalty. A crucial component to making the series work is believing in the love shared between the series two central couples; Lizzie and Henry, and "Richard" and his wife Cathy. All of their respective portrayers managed to do just that by demonstrating sincere screen chemistry, which is a rarity these days. Like its predecessor series, “The White Princess” showcased some of tomorrow’s brightest stars, and the future should see them shine quite vividly. The first two hours of Netflix’s gripping limited series adaptation of Margaret Atwood’s historical fiction novel are two of 2017’s absolute best. Sharply scripted, diligently directed, and outstandingly acted, “Alias Grace” is a stunning achievement for the streaming giant. Screenwriter Sarah Polley, director Mary Haron, and lead actress Sarah Gadon have cohesively collaborated on a series that bravely hits all the marks. One of TV’s strangest primetime soaps ended in 2017 and it was like saying goodbye to a zany friend, who was moving away. “Pretty Little Liars” ended in mixed fashion. Despite the series’ tremendous highs and lows, it was a consistent presence in viewers’ lives for over half a decade, and for that reason among many others, it was the most bittersweet farewell of 2017. The greatest achievement a series can obtain is to maintain its quality from beginning to end. 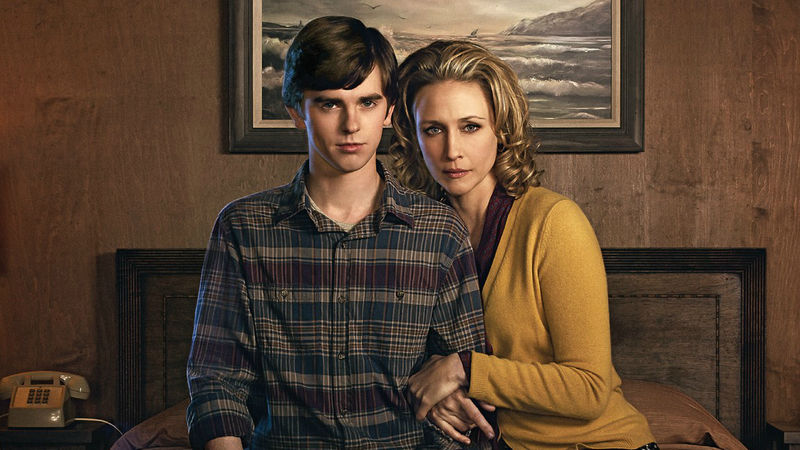 A stunning series that addressed mental illness with a sensitive dignity and respect, “Bates Motel” went out maintaining its DNA as a show that explored the heartbreaking repercussions of severe mental illness upon its sufferer and their family. When all is said and done, “Bates Motel” has always been about its central family, whose members tried desperately to escape the tragic fate that was destined to overwhelm them. It was about a mother and her two dissimilar sons, whose love for each other was as consistent a presence, as the darkness that surrounded them, and that is how it ended. “Bates Motel” never betrayed its audience or took a step that threatened to undermine its foundation. Unlike its oftentimes adrift characters, it never lost sight of where it was headed, and what it needed to do before it got there. One of the finest ensembles to ever grace television, “Bates Motel” gave viewers a chance to glimpse powerhouse performances for 50 breathtaking episodes. Vera Farmiga, Freddie Highmore, Max Thieriot, Olivia Cooke, Nestor Carbonell, Kenny Johnson, and Ryan Hurst, each gave performances that merit the highest honors. Years from now, “Bates Motel” may finally receive the widespread acclaim it has so richly deserved for the five years it aired. If it does, no series will have earned it more.